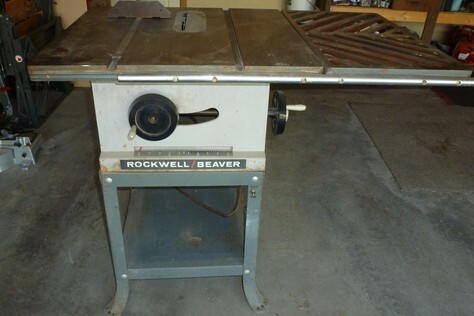 Rockwell-Beaver table saw. This saw is far from new, but is commercial grade, top quality, robust and accurate. It is in very good condition, and complete with rip guide, cross-cut guide, and an assortment of blades.